Dianna Snape is a Melbourne based photographer specialising in architecture, interior and landscape photography. Her work features regularly in leading architectural and design magazines both nationally and internationally. She is an Honours graduate of Melbourne’s RMIT BA (Photography) Course with over 15 years’ experience in the field. Dianna has a passion for the built environment and urban landscape and we were excited that she accepted our invitation to take part in the production of episode 2 of Density by Design at The Commons. I work fairly intuitively so when I shoot I like to respond to a building so I am not a person who walks through it for hours on end. The graffiti grabbed me straight away, I think it’s really nice that they are bringing into play artists and things from the urban landscape. I like the materiality of the interiors they’re not the white box you get in standard developments, they’ve used raw exposed materials and for me that holds the most interest, that’s the area I’d like to explore. I was excited by the idea of being involved in the Density by Design series and had never visited ‘The Commons’ until I photographed it for this series. 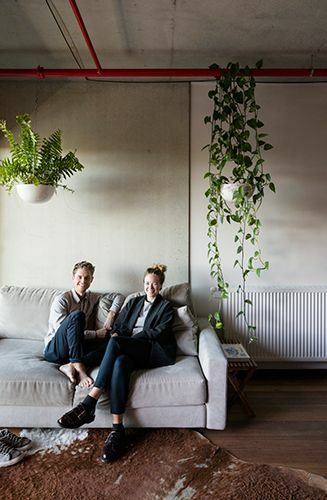 I was informed solely by the media surrounding its significance as a flagship sustainable model for changing the face of apartment living in Melbourne. The experience of the building for me was very positive and demonstrated a successful merging of urbanity and sustainability. It is without question a building for the people and loved by its inhabitants. With the co-operation of the residents, I found that I was most compelled to try to bring the life of the building into the photography. I love the dream, the social and environmental consciousness and the commitment to changing the way we live. Dianna has selected six of her photographs from the shoot that tell the story of The Commons from her point of view. 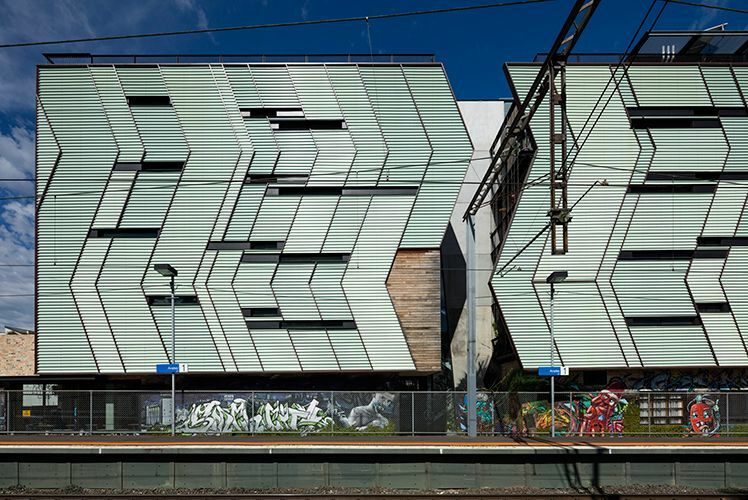 The featurist, zig zagging facade mirrors the movement of the neighbouring railway line and Upfield bike path. 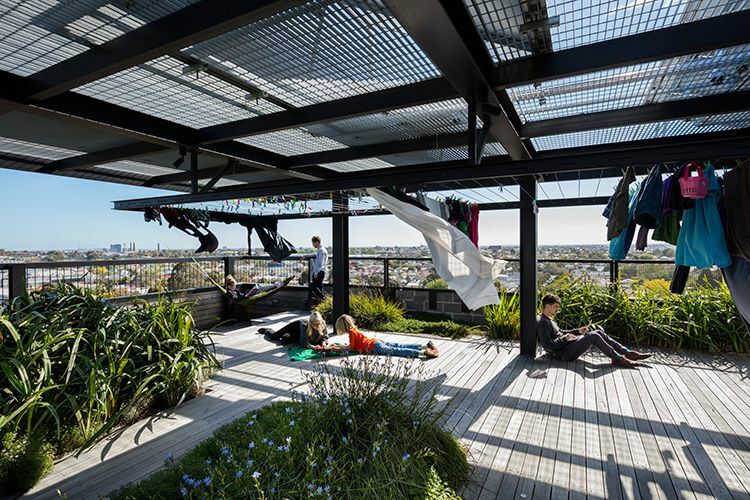 The rooftop is a shared communal space where residents can relax. It is also where the laundry facilities are so it kind of forces a sense of community through function as well as relaxation. The rooftop is also home to rainwater tanks, beehives and a vegetable garden. One of the most impressive aspects of the building for me is the materiality. 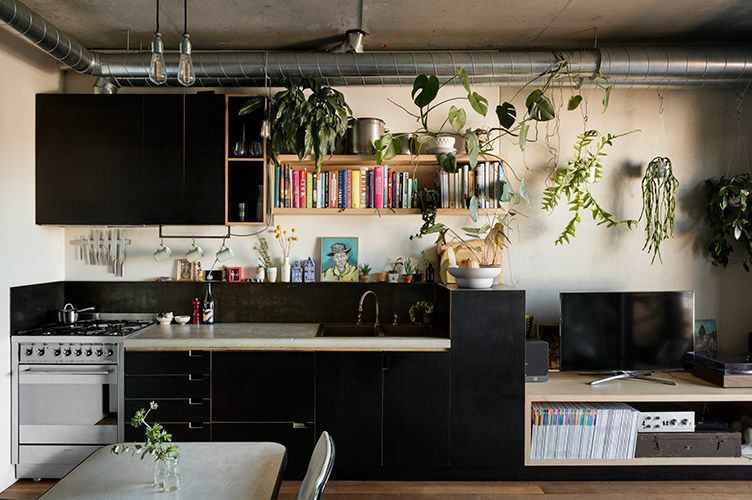 I love the concrete ceilings, recycled timber floors and copper and brass tapware. 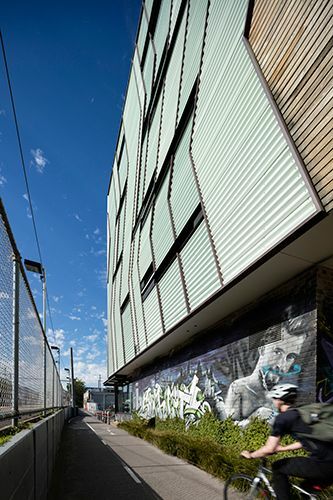 These are not your usual, run of the mill white box developer apartments, they are a testament to what can be achieved by a developer with a design and sustainable conscious. The West facade provides a very practical skin of Wonderglas (Ampelite polycarbonate) that is open at the top and bottom to breathe and protect from sun glare and noise. 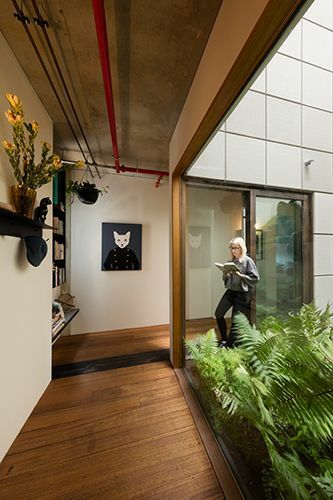 Internal apartment courtyards provide access to natural light and a private indoor recluse. So what are Dianna’s thoughts on the movement towards greater density and The Commons place in that? From a density perspective, ‘The Commons’ is a digestible size with 24 one and two-bedroom apartments, artist studios on the ground floor and a café. The access to such an incredible rooftop garden and cafe eases the proposition of apartment living for those with reservations. In a society that has let its sense of community all but die as our lives busy and our consumption increases, this kind of living brings back the concept of ‘Love thy Neighbour’ rather than ‘Who is thy Neighbour?’ If the predictions stand with the population of Victoria expected to reach 10 million by the 2050s and Melbourne’s population expected to double by 2031, we simply have to change the way we live to accommodate such growth. ‘The Commons’ without question is one of the best realised models for this change.